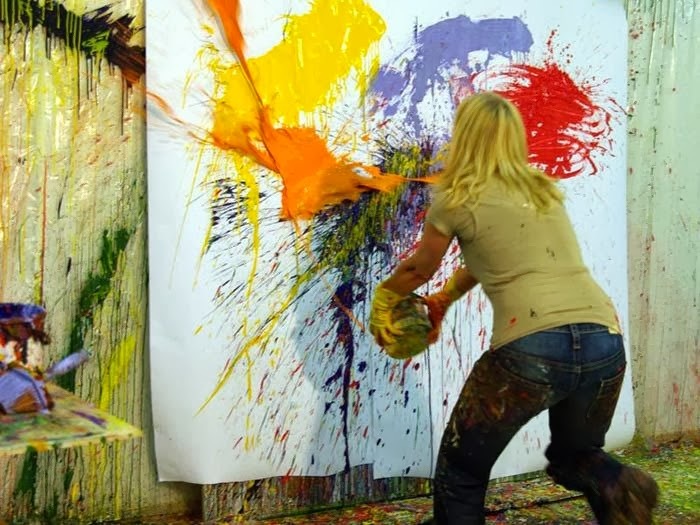 Paintings were done by spontaneous dribbling, splashing or smearing onto a canvas. A spray type of paints, generally enclosed in spray bottles; like that of a perfume spray bottles. 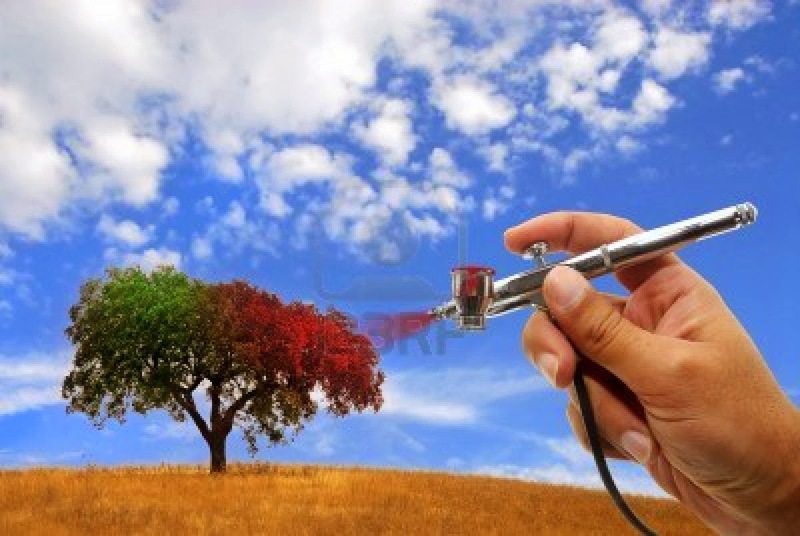 Unlike aerosol, airbrush sprays ink and dye. A tool with wire, bristles and sometimes hairs. 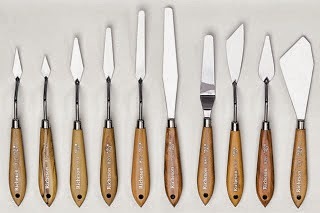 Types : wire brush, hair brush, ink brush, pastry brush. 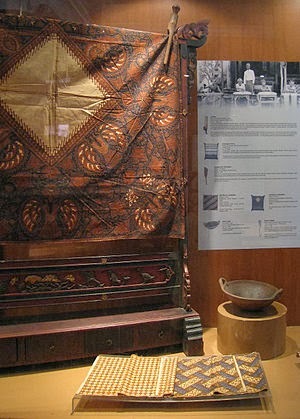 It's a kind of cloth made out of wax-resist dyed material, famous in olden days especially in India, China, Japan and other traditionally famous countries. 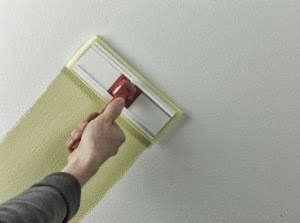 Cloth, Sponge, stick, and Palette knife (used for mixing or applying paint with steel blade). "Graffiti" - is a way of writing or drawing involving scribbling, scratching or spraying on a wall or other surface in public place; similar to action painting. "Stencil" is a thin sheet of material, such as paper, plastic or metal with letters or a design cut from it. "Multi-sketch" is an animation method of story-telling where a sequence of hand-drawn sketches are created simultaneously while narrating it with voice. Media - refers to the both the material that is manually applied and to the base onto which material is applied. Media (material) examples : Graphite, Pencils, pens, chalk, conte, crayon, fusain (a type of charcoal), fingers (with ink or paint), marker, pen, ink, sand, pastel and even water color. 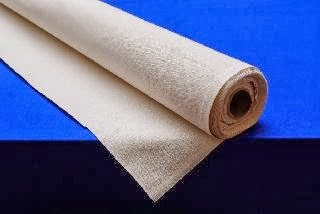 Bases examples : Paper, plaster, canvas (plain-woven fabric material), card stock, wood, metal, scratch board (paper cardboard or hardboard), concrete and other walls, soil, rock, cloth and anything that accepts the point of stick. 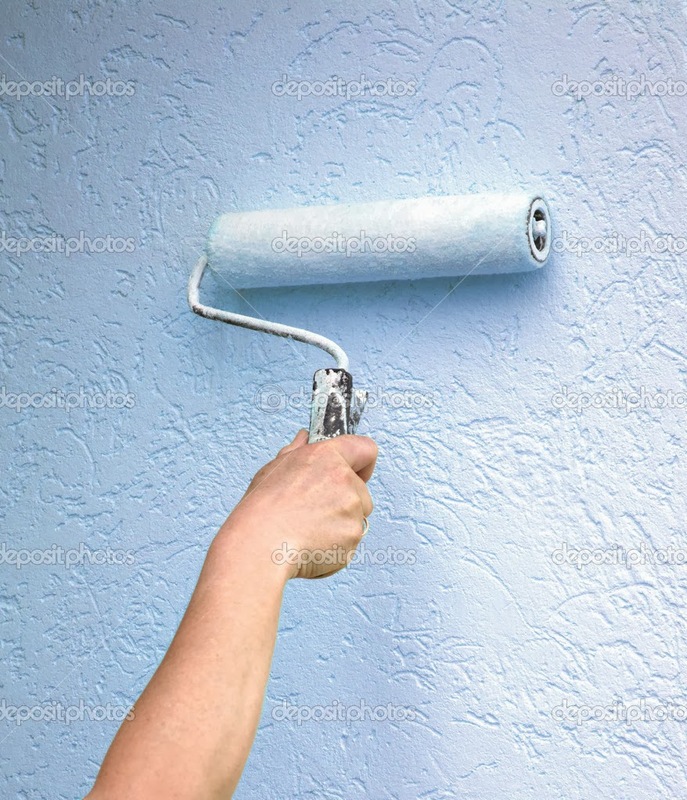 Pastel is a type of stick, made of pure powdered pigment (dry colorants) and a binder. 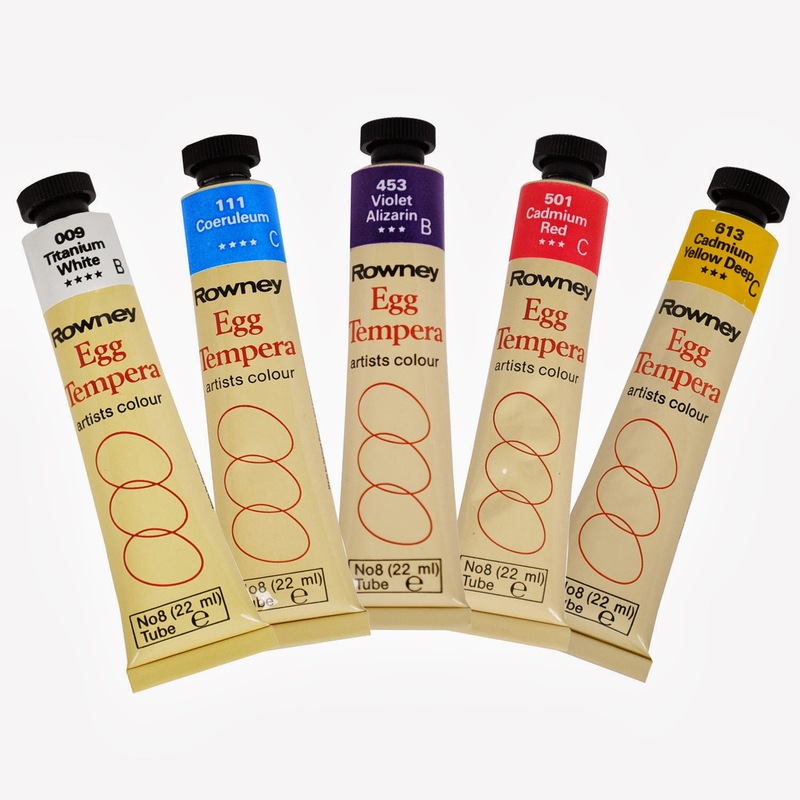 Canvas is the most common medium for oil painting. - The method of application is a stick type object with a point. Please search Google to know more about the new terms that I mentioned above. Paper, cloth, glass, canvas, cloth, tattoos, metal, wood and walls. Photoshop, Illustrator, Maya and Adobe Alias. Note that Microsoft power point is a very good tool to work with drawings, besides MS Paint. You may also refer some Solid works, Bentley and Auto-desk software's in future for product and other designs. Bristle brush, chisel, clamps, hammer, scraper, knife, pliers, scraper, saw, potter's wheel, sand paper, wire cutter, cutting torch (gas cutting) power tools (drillers, cutters, cleaners, blowers etc) and snips (a kind of scissors). 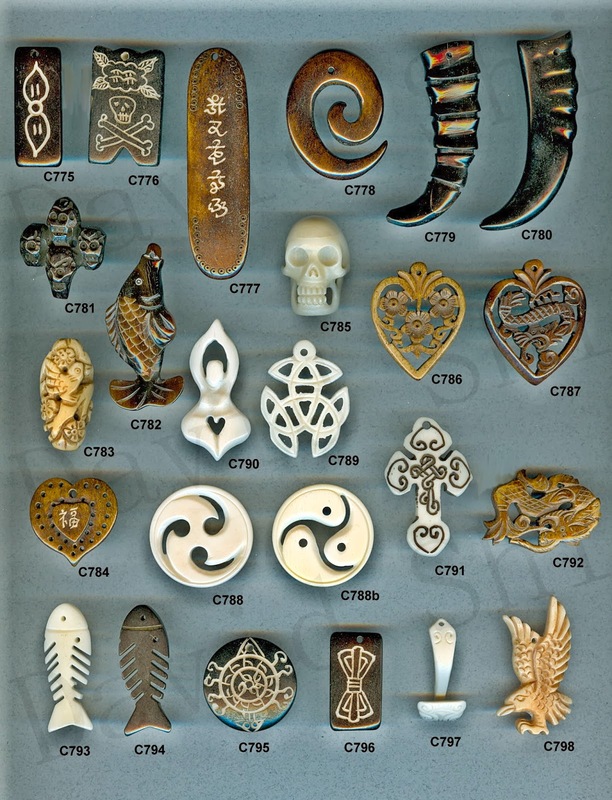 Stone, marble, wax, wood, Plaster of paris, Ice, Granite, Ivory, Gem stone (carvings in gem; piece of minerals) and Bone carving (carvings using materials like bones of animals and horns). Cement, metal, plastic, plaster of paris, synthetic resins and wax. Brush (from which huts were made), Ice, clay blocks, wood/timber, clay bricks, sand, stone/rock, mud, Thatch and clay. Concrete (mixture of cement and aggregate (gravel)), fabric, foam, glass, steel, copper, chrome, titanium and other alloys, plastics. Can u add some famous painters of India on this page ? I really appreciate your blog it eases the mode of preparation as by providing links and practice paper,those are easy to understand. Do you have any blog for NID Mdes preparation and even some relevant information regarding portfolio preparation for students those are not from Design background. is this blog helps for nift exam?? 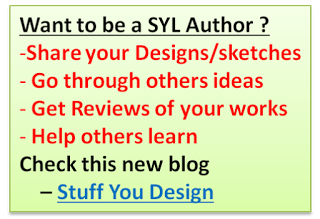 check nift syllabus and go thru those topics in the blog! many topics of UCEED, NATA, JEE, NIFT and NID are common! One more addition from my side, "emboss painting"
Thank You bhanu sir for creating such a resourceful place. 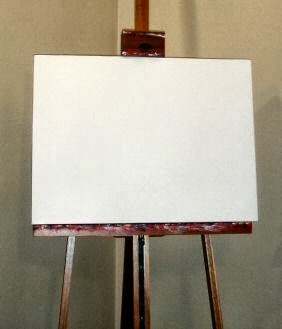 I found this link on the internet : http://rojubo.com/artinclass/ . It some really good lessons on art.